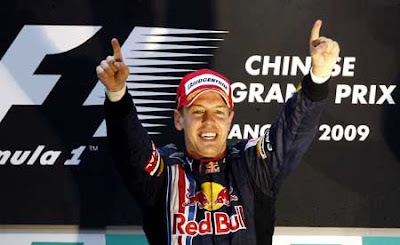 SHANGHAI, April 19 -- Germany's Sebastian Vettel won a rain-plagued Chinese Grand Prix here on Sunday to clinch the second title in his career. 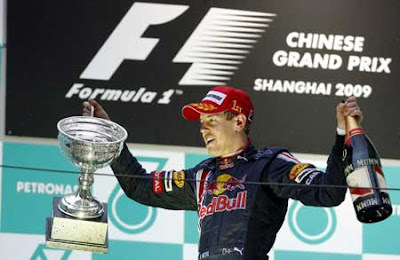 Red Bull driver Sebastian Vettel of Germany celebrates with his trophy after winning the Chinese F1 Grand Prix in Shanghai, east China, April 19, 2009. 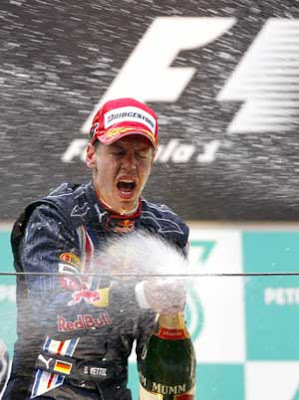 Vettel won with 1 hour 57 minutes and 43.485 seconds. 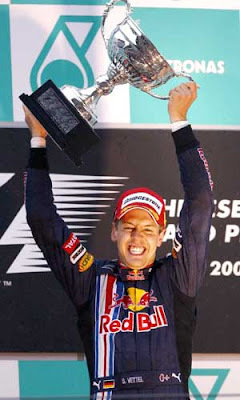 Vettel, 22, who has his maiden victory in Monza last year, led Red Bull's one-two at the Shanghai International Circuit in one hour 57 minutes and 43.485 seconds, earning a perfect 10-point the first time this season. 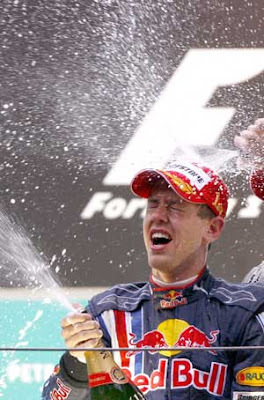 Vettel's teammate Mark Webber was 10.970 seconds behind for the second place. Brawn GP's duo Jenson Button and Rubens Barrichello managed third and fourth place respectively. Toyota's Jarno Trulli pulled out the race after being hit by BMW Sauber's Rober Kubica in the 40th minute. The rain caused some trouble for drivers and a couple of spins, slides came up to Lewis Hamilton, Nelson Piquet and Mark Webber. Sutil was forced out of the race after his car slid out of the track in the last sixth lap to hit the type wall.